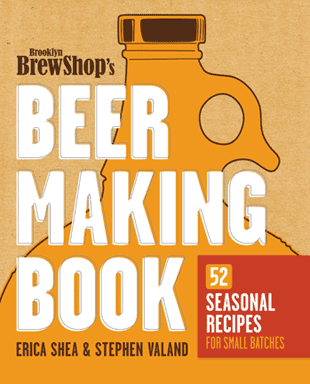 Renee is the winner of the Brooklyn Brew Shop Beer Book that we were giving away, graciously sent to us by Random House/Crown Illustrated Books on behalf of the Brooklyn Brew Shop's Erica Shea and Stephen Valand! If you want a copy of this book, be sure to check your local, independent book store! A great one in our #pdxbeergeeks neck of the woods is our very own, Dr. Sci's! If you'd like to check it out, visit them on the web! More giveaways to come, so stay tuned to the blog, check our calendar and Facebook pages for upcoming events, and make sure to sign up for the monthly newsletter!